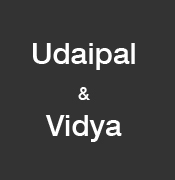 Profile of the victim : Udaipal and Vidya were the residents of a same village in Bilkhatra of Etah Uttar Pradesh. They both belonged to a different caste so their love was not acceptable to Vidya’s father who is hardened criminal of the area. The accused : The 10 persons sentenced to death are Ramesh Pal, Surjan, Ajay Pratap, Sukhpal Singh, Tejpal Singh, Rakesh alias Bhola, Laloo alias Randhir, Sanju alias Sanjay, Kayam Singh and Pappu alias Jaipal. Place of Murder : Balukhera in UP. Assassination : The incident was the fallout of the affair between Vidya and Udaypal belonging to Bilkhatra, who eloped in October 2008. The duo, along with Udaypal’s brother Rameshpal, was captured by the girl’s relatives after some days at Balukhera and was subsequently killed. They were beaten up and then shot from point blank range by the girl’s relatives at Bilkhatra village.